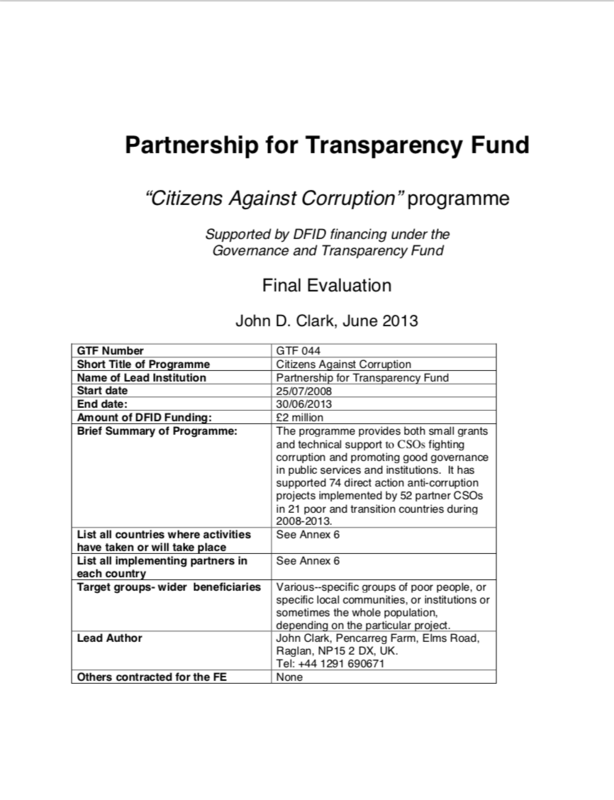 John Clark, an international development consultant, former civil society activist and adviser to former UN Secretary-General Kofi Annan, was commissioned by the UK’s Department for International Development (DFID), and by the World Bank to evaluate PTF supported projects supported by our “Citizens Against Corruption” and “Good Governance: Community Mobilization to Combat Corruption” programs. PTF projects are assessed in terms of their effectiveness and impact, their sustainability, their replicability, their innovative approaches, and whether they truly represented value for money. In each area the reports find substantial accomplishments.